Security vendor, Axis, has added a range of new cameras to suit SMB customers though to large corporates. 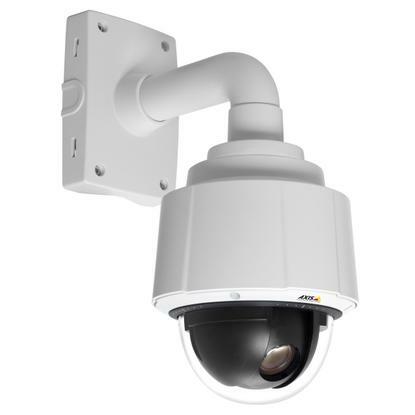 The Q6043 PTZ Dome Network Camera has IP52-rated protection against dust and dripping water and is designed for use in airports, train stations, casinos, stadiums and shopping malls. It provides 720p resolution, HDTV colour fidelity, and a 16:9 widescreen format. The camera also includes the Advanced Gatekeeper technology, which enables the camera to automatically move to a preset position when motion is detected in a pre-defined area, and returns to the home position after a set time. Its stablemate, the P5532, is positioned as a cost-effective, easy-to-install indoor pan/tilt/zoom camera. The unit also features the Advanced Gatekeeper functionality, and has support for High Power over Ethernet, meaning only one cable is required for power, video and PTZ controls. A high PoE midspan is supplied with the camera. The vendor has also taken the wrappers off the P1347 Network Camera – its top-of-the-line, 5-megapixel camera with 1080p performance. Designed to be easy to install, the device also supports Power over Ethernet, two-way audio, active tempering alarm and a SD/SDHC card slot for local storage of recordings. All three cameras will be available through Axis’ distributors: Alloys, Anixter, Lan 1 and Pacific Communications.